Altius, The Biomedical Innovation Club of Vardhmann Mahavir Medical College and Safdarjung Hospital,New Delhi (The First Of its Kind in India) has undertaken a project for developing 3D printed prosthetics which could be afforded by even the economically weaker class of this country. Every year 3 million people lose their limb due to accidents or amputation(due to vascular deformity) or suffer from congenital deformities of limbs like symbrachydactyly. The prosthetics currently available, cost thousands to lakhs of rupees. 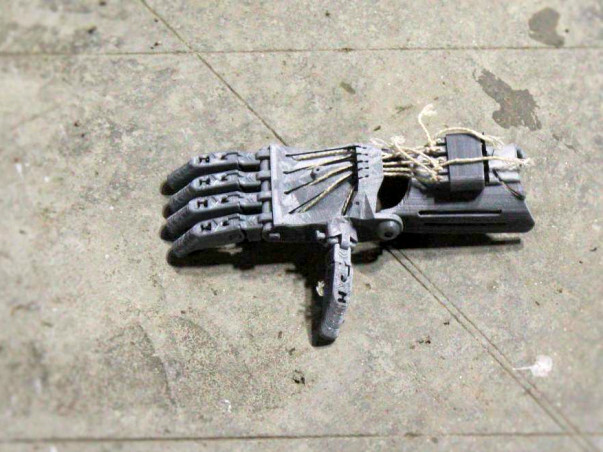 We have developed our own set of prosthetics inspired by e-nable.Can you imagine its cost ? A WHOOPING 200 Rupees. Our hand is a purely mechanical one and till now we have developed the prosthetic for amputees lacking fingers or fingers as well as wrist joint. We also have started work on making a myoelectric arm for under 8000 Rs. for those lacking the elbow joint. Our prosthetics work by transfering motion from the intact joint in the hand to the joint of the prosthetic. For example When a person with symbrachydactyly (No Fingers), having our prosthetic, folds his wrist, the fingers on the prosthetic fold allowing him to pick or hold objects. 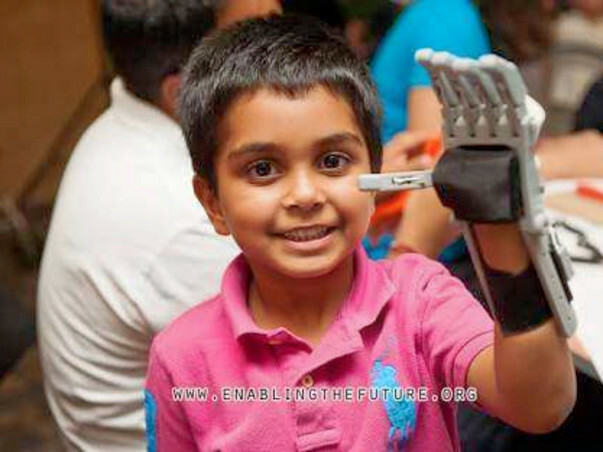 We are inspired from www.enablingthefuture.org which has open source designs for making such prosthetics. The sad part is, We dont have any such develpoment going on in India.We are among the few pioneers of such work in India. WHAT WE INTEND TO DO ? At the moment we are working on making these devices consumer friendly, lightweight, adding better functionality & improving the design. 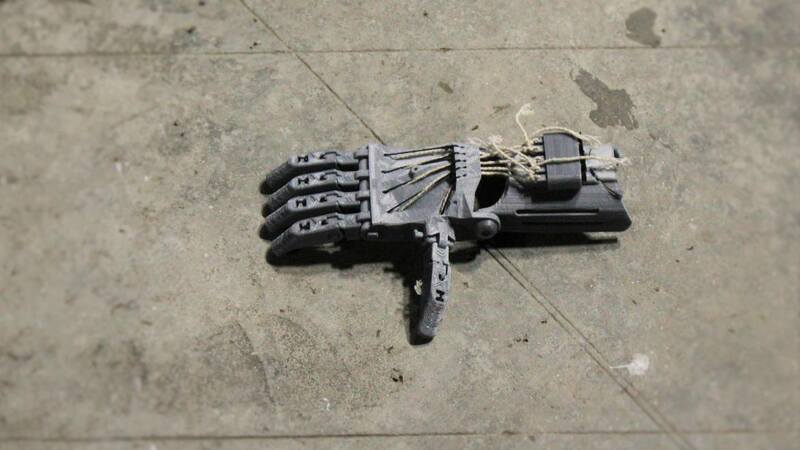 In the long run, We intend to Establish a 3D printed Prosthetic center Under the Physical Medicine & Rehabilitation Department of Safdarjung Hospital.From here we will be able to make custom prosthetics for every amputee and with your support will be able to provide it to them for free. We see a vision of this world where every specially abled person is empowered by the technological advancements going on around us. HOW WILL YOUR CONTRIBUTION HELP ? One hand costs us around 200 INR. We intend to distribute 250 Such hand to amputees with Symbrachydactyly. Next, We have the device for people having no wrists. But we are working on a better design for it. We will be allocating 25,000 INR for this design purpose and intend to make it available at a cost less than 500 INR. The Rest 25000 INR would be used in our work for the 3rd type of device that is a MYO - Electric Prosthesis. It is a fairly advanced one and would be available for people without the elbow joint. We will be using this money to test various servos, Myoware sensors etc. We will also try to integrate the sensory feelings in our myoelectric prosthesis. As our final goal is to establish a center under various hospitals of this country to provied 3D printed prosthetics for free, We need your help and donations in proving the fact that such cheap devices can help the specially abled people, giving them a better quality of life. Have a look at our prototype.